Here are two interesting antique old West pieces! 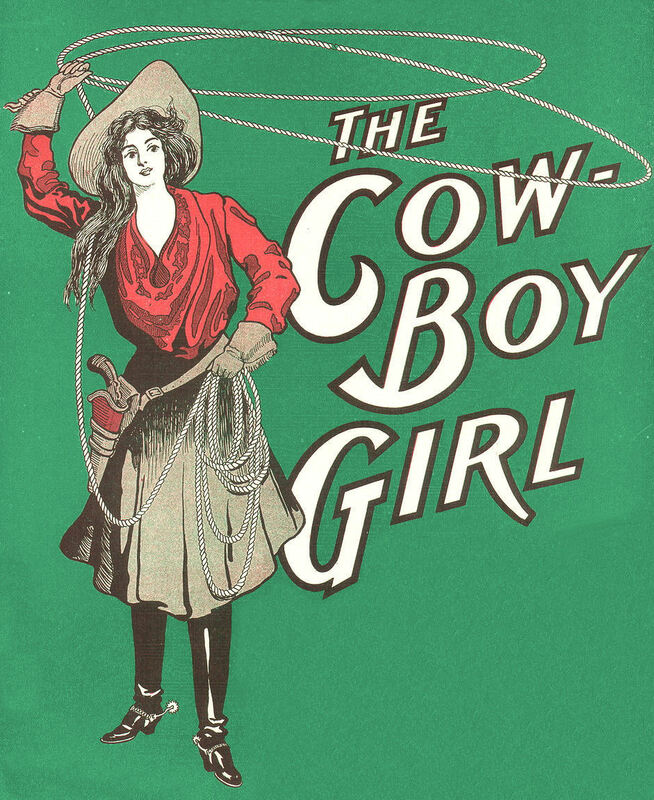 At the top of the page is a fun graphic of a Cowgirl with a Lasso. 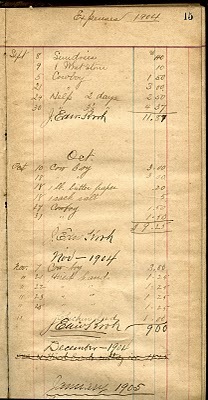 The second piece is a page from a circa 1904 ledger. 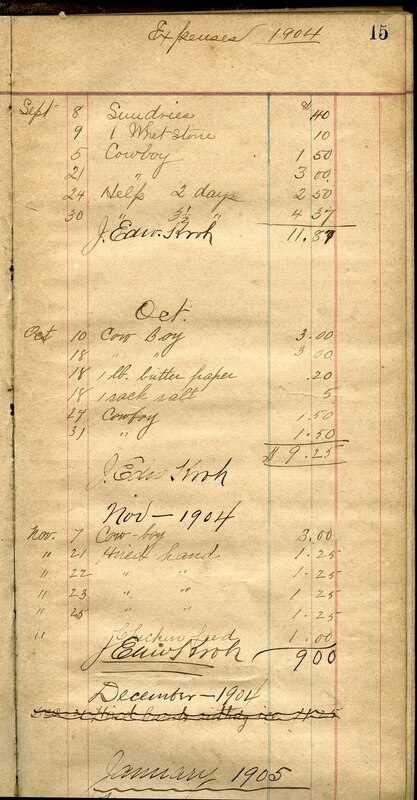 If you look closely at the ledger page, you will see several entries for “Cowboy”!! Oddly enough the cowboy expenses are right next to the butter and salt entries etc. Too funny! What a great opportunity though, to use as a background for cowboy or cowgirl mixed media pieces. I’m super excited because I have been chosen to be a part of the Citra – Solv Artists Gallery! My “Grain Sack Kitchen towel” project, using the Citra – Solv transfer process is posted in the gallery. Wahoo! Be sure and check it out, there are some wonderful artists featured there!! Stay tuned in February for more projects using this really fun transfer process. Karen—thanks for the kind words…and info on Photo Shop. Best to you! Wonderful idea, a mixed collage for a cowboy layout. Thank you Karen. She is SO cute. I think I’d like her better with out the letters. Thanks for sharing. This is awesome. Karen, I just discovered your blog! This is wonderful! Thank you for sharing these images. 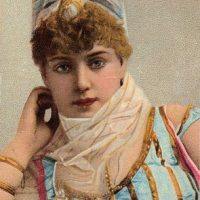 I am always on the look out for great vintage images. Congrats on your great project!! Cool Cowgirl!! Thanks Graphics Fairy! And, thank you also for dropping for OWOH. Karen, you always brighten my day. And it always makes me happy that you have this very nice and kind blog here! From your Cowgirl ~ Friend ! what treasures these are…thank you so much!! 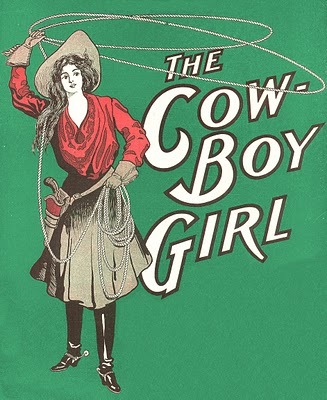 I love the vintage cowgirl. I wish you could find more like her. Congratulations on getting in the Citra-Solv gallery! 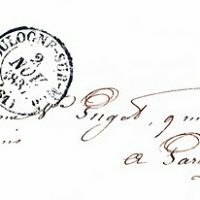 I love these two graphics, especially the ledger pages. That must have the one days pay. Interesting. I must show it to my teenager, who thinks I should give him a 10 dollar a day allowance. I love these images. Thank you so much! I am a cowboy/cowgirl fan…perfect!